My thanks to Michael Berry, MCLC book review editor for translations, for ushering the review to publication. Cixin Liu. The Three-Body Problem. Tr. Ken Liu. New York: Tor Books, 2014. 400 pp. ISBN-10: 0765377063; ISBN-13: 978-0765377067. Cixin Liu. The Dark Forest. Tr. Joel Martinsen. New York: Tor Books, 2015. 512 pp. ISBN-10: 076537708X; ISBN-13: 978-0765377081. Cixin Liu. Death’s End. Tr. Ken Liu. New York: Tor Books, 2016, forthcoming. 592 pp. ISBN-10: 0765377101; ISBN-13: 978-0765377104. Ken Liu’s translation of Santi 三体 (The three-body problem) is a milestone in the history of science fiction (sf). The first non-English novel that won the Hugo Award for Best Novel, it has stayed on the top of Amazon’s bestselling list in the category of Chinese literature for almost a year. Ken Liu, a Chinese-American sf writer who himself swept the Hugo, Nebula, and World Fantasy Awards with his one short story “The Paper Menagerie” (2012), has fine-tuned Liu Cixin’s 刘慈欣 novel with a smooth combination of the original Chinese text’s dynamism and the stylish accuracy and neatness of American sf. 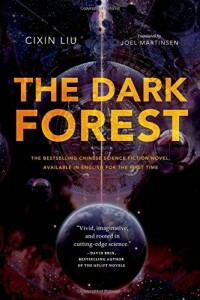 Tor released The Three-Body Problem to critical acclaims in November 2014, followed by its sequel The Dark Forest (translated by Joel Martinsen) in August 2015, with the final volume of the trilogy Death’s End (translated by Ken Liu) to be released in August 2016. The publisher’s promotion campaign may not match what happened to The Lord of the Rings or The Hunger Games, but the strategy of releasing the trilogy with a steady pace within a less than three-year time frame is apparently aimed to create a similar momentum to entice American readers. The Three-Body Problem has thus far won the hearts of many American sf readers, gaining support from established authors of the genre such as Kim Stanley Robinson, George R. R. Martin, and Ben Bova. 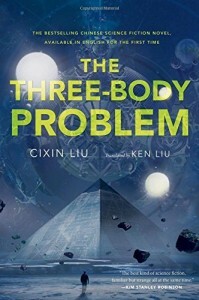 Before The Three-Body Problem “touched down” in the U.S. (words borrowed from the title of a report on the Wall Street Journal, November 4, 2014), the trilogy had already been a national sensation in China; and before the trilogy was published in China between 2006 and 2010, a new wave of Chinese science fiction had already emerged at the turn of the twenty-first century. The success of the trilogy in the American book market is a small echo of its record-breaking popularity among Chinese readers. In the meantime, Liu Cixin’s success should also be contextualized by looking at it as one facet of the revival of the genre in China over the past fifteen years, which was conditioned by various cultural and social elements ranging from the free platform for new authors on the Internet to the nation’s collective yearning for social changes or anxieties about the lack of changes. In a peculiar way, Chinese science fiction has simultaneously entered its golden age and generated a “new wave” subversion of the genre. This new wave has been generally marked by a dystopian vision of China’s future, ambiguous moral dilemmas, and a sophisticated representation of the power of technology or the technology of power. The poetics of the new wave points to the illumination of the invisible, the unknown, and the fantastic, which energizes the genre as an imaginary realm opening up to infinite new possibilities. Dozens of writers, belonging to different generations born between the 1940s and 1980s, gained fame for writing science fiction at the same time. In 2012, a special issue of Renditions (77/78) introduced eight authors of this new wave to English readers, including Liu Cixin, Han Song 韩松, Wang Jinkang 王晋康, Zhao Haihong 赵海虹, La La 拉拉, Chi Hui 遲卉, Fei Dao 飞氘, and Xia Jia 夏笳. Liu Cixin stands out as the most successful science fiction writer of his generation. While he has quoted American and British space opera writers like Isaac Asimov and Arthur C. Clarke as major influences on his own writings, his fans consider The Three-Body Problem’s winning the Hugo as a game-changing event that has pushed Chinese science fiction into the limelight for Anglo-American audiences. Called “Da Liu” (Big Liu) by his fans, Liu Cixin is celebrated as the national pride of China’s cyberworld. The phenomenal success of Liu’s trilogy, both domestically and internationally, also corresponds to the Chinese government’s promotion of the “Chinese dream,” which mirrors, twists, and speaks back to its American counterpart. Although I have elsewhere pointed out the darker, subversive side of the new wave, which presents a nightmarish mutation of the “Chinese dream”, The Three-Body Trilogy is a more complex text that combines the sublime and the uncanny, mingles cosmopolitanism and nationalism, and undermines scientific certainty with the agency of human variability. Its complexity also indicates in general the significance and dynamics of Chinese science fiction that reflects on the uncertainty and probabilities China confronts when entering a new world order. The Three-Body Problem opens with a cruel moment in the Cultural Revolution: Red Guards humiliating and torturing a distinguished scientist, whose daughter, Ye Wenjie, after witnessing her father’s death, becomes completely disillusioned with human goodness. She later joins a secret science project that is tasked by the supreme leader to search for extraterrestrial intelligence, which aims to compete with the Americans and Russians who are doing the same. But the Chinese SETI team is miserable, for they lack both the proper technology and equipment. It is Ye Wenjie who finds a way to bypass the political prohibitions to shoot the signal directly to the sun that serves as an amplifier to broadcast the message from the Chinese communist leaders to the entire galaxy. Eight years later, Ye receives a reply that reads: “Do not answer! Do not answer! Do not answer!” (272). What Ye receives is a message coming from the closest planet located in Alpha Centauri, only four light years away. The message is sent by a self-identified pacifist living in a dying civilization that faces the harshest conditions for survival. In their star system, a lone planet orbits three suns. This situation testifies to the three-body problem, a real mathematical problem: how three bodies move under the influence of their mutual gravitational attractions is uncertain. In the novel, the Trisolaran world has an unpredictable fate, alternated between Stable Eras when the planet orbits one sun and Chaotic Eras when the planet loses its normal orbit. The Trisolaran civilization has been destroyed many times by either being scorched by three suns rising together or being frozen by the lack of any sunlight. The Trisolarans are eager to emigrate to other planets, readying themselves for interstellar invasion. The pacifist, a listener by profession stationed in a post to search for habitable planets, happens to have received Ye’s message, and out of a moral compassion it warns the Earthling that as soon as an answer is sent back to space, the source of the transmission will be located, which means that an invasion will be imminent. Ye Wenjie ignores the warning and replies immediately, inviting the Trisolarans to come to Earth, because “our civilization is no longer capable of solving its own problems” (276). The epic story of the space war begins at this moment. Trisolarans target Earth for their invasion. The first volume depicts how humans gradually learn about the truth of the Trisolaran world: chaotic, unpredictable, and cruel. The contact with Trisolaris is fatal, for the rivalry between the two civilizations can only end with one wiping out the other. The question that serves as a leading thread in the trilogy emerges: is the universe a place for morality, a place for humanity with a moral consciousness? The second volume, The Dark Forest, sheds light on the darkest rules of the universe. Before Ye Wenjie dies, she passes her reflections on Earth’s encounter with Trisolaris to a student of sociology Luo Ji, who later invents cosmic sociology. The axioms of cosmic sociology are: “First: Survival is the primary need of civilization. Second: Civilization continuously grows and expands, but the total matter in the universe remains constant” (13). These axioms present a negative answer to the above question: the universe does not have room for morality; it is a dark forest ruled mercilessly by the laws of jungle. Luo Ji figures out why the universe is silent and why, though it is filled with civilizations, humans had never discovered extraterrestrial intelligence before. It is because nothing is more dangerous than exposing yourself in the dark forest. The chain of suspicion decides that anyone seeing you cannot determine whether you are benevolent or malicious. “The universe is a dark forest. Every civilization is an armed hunter stalking through the trees like a ghost. . . The hunter has to be careful, because everywhere in the forest are stealthy hunters like him. If he finds other life—a another hunter, an angel or a demon, a delicate infant or a tottering old man, a fairy or a demigod—there’s only one thing he can do: open fire and eliminate them. In this forest, hell is other people. An eternal threat that any life that exposes its own existence will be swiftly wiped out” (484). The Three-Body Trilogy showcases the most splendid image of the universe, full of awe-inspiring, sublime wonders. In the final volume of the trilogy, Death’s End, Liu Cixin describes the first human spaceship’s encounter with a mysterious four-dimensional “bubble” within which “a bottomless abyss exists in every inch.” “The experience of high-dimensional spatial sense was a spiritual baptism. In one moment, concepts like freedom, openness, profundity, and infinity all gained brand-new meanings” (Ken Liu’s translation). Such depictions achieve a Kantian sublime: infinite, limitless, and overwhelming with a magnitude beyond human ability to measure and grasp. Such a wondrous face of the universe, however, is also inhuman. 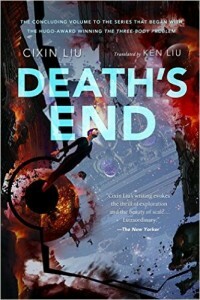 In Death’s End, Liu Cixin reveals the worst possible situation for humanity confronting the truth of the universe, a bottomless abyss filled with competing intelligent species fiercely engaged in space wars that keep eliminating the weaker ones. Humans eventually learn about the story of our universe. It originally had eleven dimensions, a paradise, and a world that was timeless and endless. However, it was soon lowered to ten dimensions, and then to nine and to eight, all the way down to three dimensions. Reducing the dimensions or changing the physical rules of the universe are the most powerful ways to wipe out entire worlds, and the novel reveals our three-dimensional universe to be the ruins of wars dating to the very beginning of time. On the astronomical scale, the difference between good and evil becomes meaningless. Whether the morally self-aware humans could survive in an immoral universe also becomes a moot question toward the end of the narrative, because the entire universe comes to an end when dimensions are finally reduced to zero, absolute nothingness. In the second half of Death’s End, the conflict between Earth and Trisolaris is no longer the central plot line. A mysterious higher intelligence that patrols the universe passes by our solar system and projects an extraordinarily thin sheet toward us. Called “dual vector foil,” this sheet changes the structure of the space-time continuum, reducing the three-dimensional solar system to two dimensions. The entire solar system begins to collapse into an infinitely large, flat picture: planet by planet, object by object, molecule by molecule, the Sun, Jupiter, Saturn, Venus, Mars, the Earth, and all of humanity turn two-dimensional. This moment illustrates Liu Cixin’s attempts to render the sublime visible. The entire process of the solar system’s two-dimensionalization is displayed with dazzlingly concrete details—each drop of water is depicted as though it were as large and complex as an enormous two-dimensional ocean. Liu depicts this imagined and miraculous catastrophe directly, openly, and as precisely as if it were real. Three survivors stationed on Pluto observe this reality, awed by the moon-size snowflakes that are actually two-dimensional water molecules. The two-dimensional imaginary of the solar system provides a thrilling moment that concretizes sublime invisibility. The two-dimensional picture epitomizes Liu Cixin’s artistic approach to sf: a sublime world image is created out of precise details. His work speaks directly to the infinity of the universe, but he also seeks to transform the invisible and infinite into a plausible physical reality. By the end of the trilogy, he enlivens his work with a wondrous sensation that lifts science fiction from determinism or national allegory (or whatever is rooted in certainty) into a transcendental imaginary realm that opens up to possibilities and perceptions beyond ordinary reality. Yet he also renders the sublime visible, as the very magnetic force of science fiction. Foregrounding the destiny of an incredibly dystopian future, Liu’s narrative sometimes remains ambiguous with regards to the conflicts between morality and survival, humanity and technology, hope and despair. Liu makes it clear through the overall plot development that the universe is a cold place with little room for morality. However, the most magic power of the trilogy may still come from the sustaining humanity that can be found even in the coldest moments and places. One of only two persons who live until the end of the universe is Cheng Xin, a kind-hearted woman, who is sarcastically nicknamed the “saint mother” by Liu Cixin’s fans to show their dislike of this character who succeeds Luo Ji to become the chief defender of Earth but submits to the tender feelings that swell in her heart when facing the alien invasion. She does not have the heart to push the buttons that will set off the assured mutual destruction of both the invading Trisolarans and all species on Earth. Her failure to act nevertheless makes her morally self-conscious. Against this backdrop of life and death struggles, Cheng Xin remains a person constantly reminding us of the moral principles of compassion and mutual aid. She makes a moral choice in an immoral universe. But she also plays an even more important role in the making of Liu Cixin’s saga: she resorts to writing to pass on some messages about humanity to the next universe. Liu Cixin ends the novel from Cheng Xin’s perspective and renames the trilogy “Remembrance of Earth’s Past” (地球往事). The ending paragraph of the novel, about two hundred characters long, is an enchanting description of a small “ecological system,” left by Cheng Xin in “our universe” that has come to an end, in which a small fish swims swiftly and the morning dew on grass reflects the fresh sunshine. Is this where a new universe begins? Or is it a testimony to poetic justice? The small ball that contains the lively ecological system may well be the last trace of a utopian space in the moral vacuum of the universe in Liu Cixin’s saga. After Death’s End was published in China in 2010, fans and critics announced that Chinese science fiction entered the so-called “post-Santi” era. There has never been another science fiction novel that can compete with The Three-Body Trilogy in terms of epic scope and spectacle. 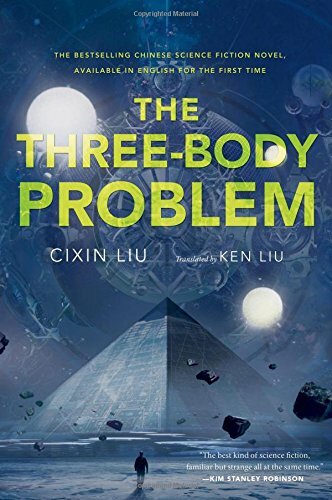 Even Liu Cixin has not been able to produce another work that matches the magnitude of The Three-Body Trilogy. Instead, he has become a producer for the film The Three-Body Problem. The filming began in March and concluded in August. To be released in September 2016, the film has entered post-production, which Liu Cixin will supervise. It is just Episode One. The first volume was first serialized in Kehuan shijie 科幻世界 (Science fiction world) from May to December in 2006, and later published by Chongqing chubanshe in book form in 2008. The second volume was published by Chongqing chubanshe in 2008. The third volume was published by Chongqing chubanshe in 2010. For my own discussion on the new wave of Chinese science fiction, see Song, Mingwei. “After 1989: The New Wave of Chinese Science Fiction,” China Perspectives. 1 (2015): 7-13. For a more general survey of the revival of the genre in China, see Song, Mingwei. “Variations on Utopia in Contemporary Chinese Science Fiction.” Science Fiction Studies 40, 1 (2013): 86-102. This review concerning the third volume is mainly based on the Chinese version, thought I have been able to see and quote the sentence from Ken Liu’s unpublished translation. Posted in Book reviews, Literature, MCLC, Translation	Bookmark the permalink.